8 St Martins Park, Dublin 6W. Click here for MAP. Telephone and Skype Counselling and Psychotherapy is now available to those who cannot call to my office in person. Telephone and Skype Counselling takes place at a set, agreed time. Please contact me for further details. Unsure how to reach your goals. Working one to one, my approach is humanistic and integrative. I provide a caring, professional counselling service drawing from a number of theories, Humanistic & Person Centred Therapy, Cognitive Behavioural Therapy (CBT), Solution Focused Brief Therapy (SFBT), Gestalt Therapy and I work with mindfulness. I aim to work with each client in a way that is best suited to their individual needs. Please see testimonials below. My philosophy is that each person is unique and deserves that I work with them individually and specifically. For this purpose, I use Humanistic and Person Centred Therapy, Mindfulness Techniques, Cognitive Behaviour Therapy (CBT) and Solution Focused Brief Therapy (SFBT). "Over the past year, I was struggling to cope. I’ve always liked being busy, doing challenging work, sport and going out. But, recently, it all got too much, juggling young children, job, friends and family, never having enough time for anything. I had everything I wanted and I felt so unhappy. Through counselling with Geraldine, things began to shift straight away. I have learned to focus on myself, my needs and to slow down. I used to run around and try to do everything, never wanting to say No. I’ve become more aware of my feelings and it’s okay to be me, to listen to myself. I feel happier in my skin, more secure and confident. I can’t imagine that I would have found so much peace without Geraldine’s help. I would highly recommend Geraldine to anyone struggling to make sense of their life." "I cannot truly thank you enough Geraldine, your kindness and consideration were so generously given, your guidance was respectful. I am relieved to have found your help and am so much more aware of myself and my life, and have the strength and self-knowledge to get through the challenges of life." H, Rathfarnham, Dublin 14, Low Self Esteem. "I was referred to Geraldine by my GP who was treating me for depression and stress which was building and building inside of me. Being a man, I was very nervous of talking about my feelings, especially to a stranger. But I was amazed at how quickly Geraldine put me at my ease and helped me to tease out what was at the root of my low mood. Geraldine has given me tools to help me manage my moods. I understand myself better now and feel much more relaxed." "I was having panic attacks and sometimes paralysed with social anxiety, I had reached rock bottom and I wanted help. I felt comfortable being open to Geraldine about who I am, was, and want to be. My confidence has grown day by day and I feel I’m getting back to the person who I was mean’t to be. Geraldine is very patient and gives 100% to her clients. She is very aware and sensitive to given situations. I would like to thank Geraldine whole heartedly. I went seeking counselling with a lot of fear and I left with a lot of pride and confidence." D, Harolds Cross, Dublin 6. "I heard about Geraldine through my doctor. It took me ages to get in touch with Geraldine as I kept thinking I could work things out myself, and I was nervous - what would I say to a counsellor, where would I start. Geraldine put me at my ease. I felt comfortable, safe and unafraid to open up. I wish now that I hadn’t waited so long, and would highly recommend Geraldine if you are looking for help from a caring professional. Geraldine has helped me to identify the healthy, positive, kind parts in me and she has taught me skills to deal with negative feelings such as guilt and anger and cope with loss. I will miss my sessions with Geraldine, but feel in a better place, to deal with life and the bumps in the road. If you need to talk to someone, I would highly recommend Geraldine, just give her a call, it might be the best thing that you can do to help yourself." C, Crumlin, Dublin 12, Relationship. “Just a note to say how much our sessions mean’t to me. You are a very kind, empathetic, caring person. The safe, confidential and caring environment that you provided was an oasis of calm which was conducive to such openness and honesty. I hope you know how much your help mean’t to me and I have no doubt to your other clients." R, Portobello, Dublin 2, Bereavement. "Dear Geraldine, I want to thank you for all the help, understanding and kindness you have given me over the last couple of months. I could not have done without your help." B, Dublin 8, Bereavement and Anxiety. "I feel like a new person….. I have faced so many demons with your gentle help. I want to encourage anyone who is struggling with depression to seek help, rather than trying to deal with it by themselves." Most of us, at some time in our lives, have periods when it is very hard to cope. This can be very distressing, health and happiness may suffer and other aspects of our lives may be affected. Often we can overcome life’s difficulties on our own or with the help and support of friends and family. Sometimes, however, we can feel overwhelmed by difficult feelings that won’t go away, or get stuck in patterns of thinking and behaviour which we can’t seem to change. Friends, no matter how supportive, don’t know how to help, or maybe we just don’t want to burden them with our problems. That’s when it can be helpful to have the professional help of a counselor – free from judgement and who can help you to make sense of your life. All of us feel worried or depressed at some time. Perhaps you are making the same mistakes time and time again. Working with a counsellor will enable you to understand yourself better. You will be able to make decisions to change your life and to realise yoru full potential. By engaging in counselling or psychotherapy you are taking responsibility by accepting where you are in life and that you want to change the situation. As an experienced and qualified counsellor and psychotherapist, I am trained to actively and attentively listen. Counselling is about talking through your difficulties, enabling you to take your power back, gaining self awareness, understanding your feelings and finding a way to get out of your mind and into your life. 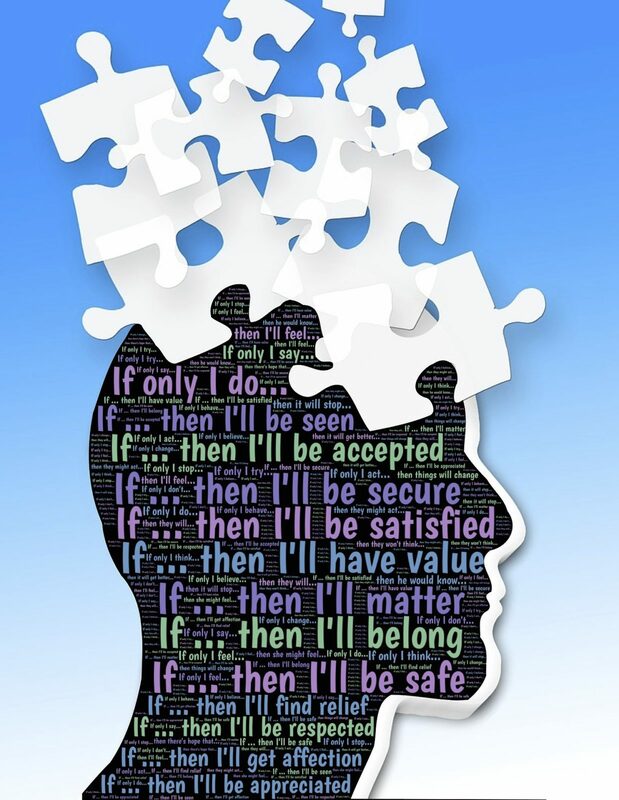 Drawing on a number of theories and methods, including Cognitive Behaviour Therapy (CBT), Mindfulness Techniques, Humanistic and Person Centred Therapy, I provide a caring professional, counselling service and work with each client in a way that is best suited to their individual needs. My objective is to offer a confidential, safe, and comfortable setting for the counselling and psychotherapy services I provide to clients. All sessions are private and confidential. I maintain confidentiality in line with the ethical guidelines of the Irish Association of Counselling and Psychotherapy (IACP) of which I am a member. ​How can counselling or psychotherapy help me? Counseling can provide you with a safe, confidential, non-judgmental space in which you can come to understand yourself and your feelings more fully, and in which new perspectives and new possibilities for change can emerge. My role as a counselor is to facilitate self-exploration, change and growth. You won’t ever be told what to do or be pressurised into making changes you don’t want to make. I provide you with a warm, respectful, accepting environment which is based on support and confidentiality. This creates a trustworthy atmosphere where you can feel secure enough to work on any difficulties. The service I offer is professional, understanding and caring. I will treat you with sensitivity and respect and provide a confidential environment where you can talk about your thoughts and feelings. I believe that we everyone has the capacity to grow and change. I firmly believe that given the right circumstances a person can fulfil any number of their possibilities in life. Counseling offers a safe environment for the person to grow but also to come to terms with and find acceptance of parts of their self. This means that as a therapist I will offer you acceptance, empathy, warmth and understanding and a place where you will not be judged. This will be true no matter what issues you choose to bring. All information you bring is kept strictly confidential and I adhere to the Irish Association for Counselling and Psychotherapy (IACP) ethical codes and standards of practice. As a trained, experienced counsellor and psychotherapist, I have worked with clients on a wide range of issues such as depression, anxiety, anger management, panic attacks, abuse, addictions, bereavement, grief, suicide thoughts, self harm. These may be specific and definable such as problems with moods and emotions; difficulties in relationships; addictive and compulsive behaviours; choices and dilemmas; or coming to terms with change and loss. People also bring problems that are more difficult to define – a sense of confusion about their lives and about who they are, a lack of direction, a loss of meaning or joy in living, difficulties in relating to others, social anxiety, feeling isolated, experiencing loss or concerns about chronic fatigue. It is very common for clients to feel nervous about attending counselling for the first time. It can be a difficult step for many of us. Some clients worry about what they will spend the time talking about. You do not have to be clear as to what your problem is, or indeed, whether or not you have a problem at all. Just remember this time is for you. The service I offer is professional, understanding and caring. I treat clients with sensitivity and respect and provide a confidential environment where they can talk about the thoughts and feelings. You will find that your views and experiences are encouraged and heard and we will go at your pace. The most effective counselling happens when there is a trusting and warm relationship built between the counsellor and client. I work in a sensitive, honest and open way with people from all walks of life. I aim to encourage a trusting relationship where you will feel safe enough to explore problems / feelings and express thoughts openly and honestly without fear of criticism or judgement.